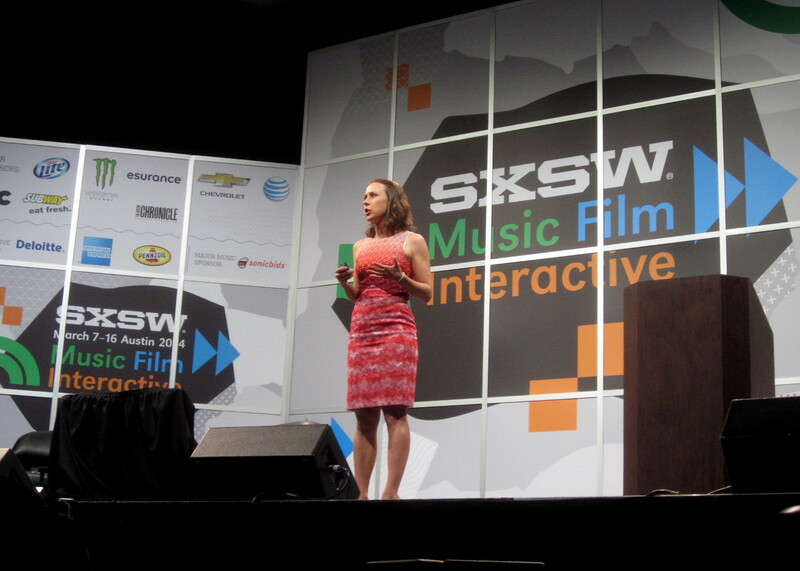 SXSW (South-by-Southwest) is Austin’s annual festival of panels, expos and keynote presentations oriented around Music, Film and Interactive technology. This year promises some very exciting debuts and startups, which will have a profound impact on how society is shaped and the new directions that technology is currently pushing us towards. 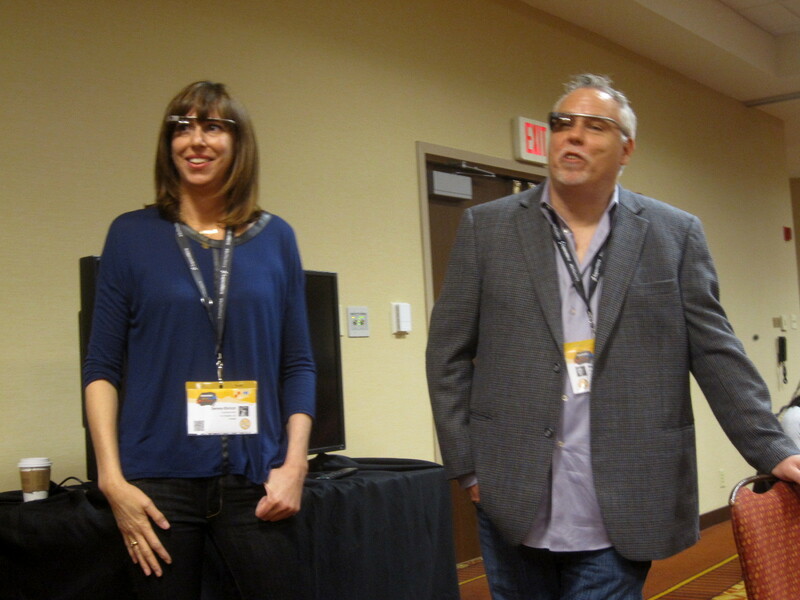 Today’s first panel was a discussion called A Core Conversation with Google Glass Explorers led by Mark Horvath of Invisible People and Serena Ehrlich of Business Wire. The audience was a 40/60 mix of people with and without Google Glass, yet we all had opinions about the future and benefits of this emerging technology. While Google’s #ifihadglass campaign has allowed people to become explorers, the reactions users get in public were reportedly mixed between excitement and resistance due to the possibility of being recorded. As a response, Google has released a code of conduct for Explorers to follow during the beta testing period. Panelists from Left to Right: Serena Ehrlich and Mark Horvath. “The law is not equipped for Google Glass yet,” said surprise audience member Cecilia Abadine, who was pulled over for speeding while allegedly having her Glass on (she didn’t). In her case, the judge admitted Glass usage applies to California’s law on mobile devices while driving to an extent, but the officer had to prove Abadine had it turned on before being pulled over (she didn’t). Ultimately, the charges were dropped. When an audience member asked “How do you see glass improving healthcare?” many great answers emerged. Horvath hinted at special pairs of Google Glass for the healthcare market, and with it an emergency band that would be more secure and less traveled than standard Glass traffic. Specialized emergency Google Glasses can be used to help people perform procedures like CPR or immediately get face-to-face contact with a professional. The next panel session was called Cloud Robotics: Instant Scalability & Capability, presented by Anthony Levandowski and James Kuffner of Google, Ayokor Korsah of Ashesi University College in Ghana, and Ken Goldberg of UC Berkley. “The ways we’re using the internet now is radically different from the past,” opened Levandowsky. We have vast access to complex computers on demand, people are using internet to crowdsource, and robots are now directly sharing information among themselves; all of this takes place within the Cloud. Korash highlighted five different benefits of Cloud robotics: big data, Cloud computing, Open-Source, open learning, and call centers. The Cloud is unique because documents “live” within it like its own universe, and all five functions can be performed and operated together inside. The way information is contained and accessed innovates the way we program and use robots. Broadband speed has grown 1600x in 10 years, which means faster access and benefits for Cloud robotics. Robots are starting to share information between themselves over intranet to cooperate among themselves small scale. Soon we will have “robotsourcing” where robots will team up to solve big problems through Cloud autonomously. Cloud intelligence allows for remote operation for maximized precision. In the medical industry, 3D printed cancer seeds will be implantable in the human body, said Goldberg. We will also see surgeries performed by controlling robotic arms via Cloud. Google googles will perform Cloud-enabled object recognition, which would be constantly and consistently updated by fellow users. Speech-to-speech translation would be vastly improved. Maps & planning would be able to immediately update and used. Robot design can be improved in real time, through data mining histories of Cloud enabled robots. In this way, the next generation of robots can be programmed to conduct tasks more efficiently. Robots are gradually moving out of factories and entering our lives. Enhancing them with Cloud computing enables cheaper, lighter, and “smarter” robots, as well as a shareable knowledgebase. This will enable a robotics revolution not only with deep knowledge and information pooled from about the world, but also elevated robot experiences, user interactions, and learned skills. The Future of Genetics in our Everyday Lives was led by 23andMe founder Anne Wojcicki. She began by talking about her time on Wall Street, where she learned that a number of companies are well-placed to benefit from new and emerging diseases. “Currently, it’s cheaper to treat than to prevent, which is a tragedy,” said Wojciciki. She highlighted that our population is set to generate tons of needs within the Healthcare industry, and that obesity and diabetes rates are increasing worldwide. From an investment perspective, the healthcare industry is valued at 100B while health care expenses total over 2.7 trillion dollars. On the other hand, the CDC’s national diabetes program only puts 7 million dollars a year for treatment and prevention. Anne Wojcicki presenting The Future of Genetics in our Everyday Lives. A big component of 23andMe is its combination of big data and community, which Wojcicki believes will improve general health and accelerate research discoveries. “We want to enable researchers around the world to have access to this data,” she said, in order to generate real-time research. After the genetics panel I went into the Show Room to check out some great displays and emerging startups from all over the world. One of the first to catch my eye was the OlloClip, which is a lens attachment to your camera that allows for extreme magnification. T-Pai, from Hong Kong, offers the first intelligent doghouse on Earth. From Singapore, Digify expands on Snapchat’s temporary model and expands it to documents, allowing you to control whether or not you want them to be non-forwardable, be view-only, or self-destruct upon viewing. 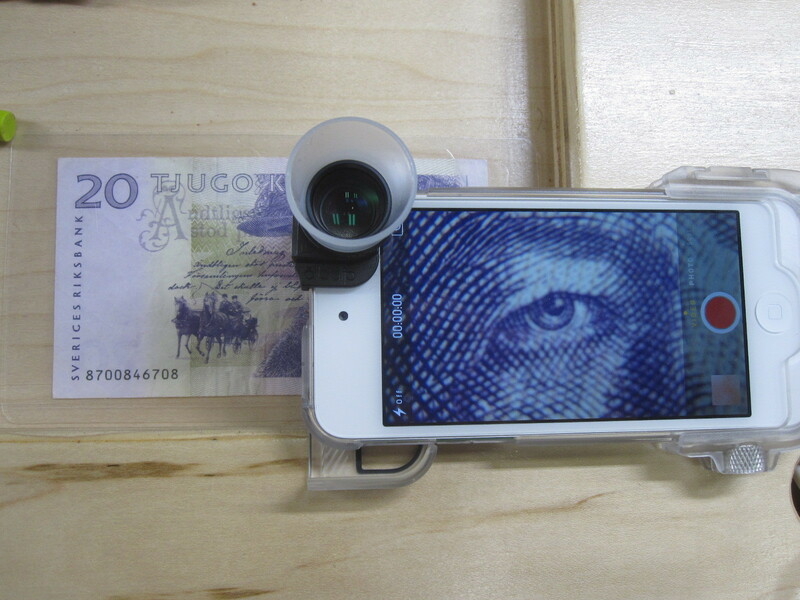 The OlloClip placed on a bank note, magnifying it with sharp precision. The next panel I checked out was Printing Chocolate: Food on Demand, presented by Daniel Heron of Tech Ranch Austin, and Levi Lalla, Founder of piq Chocolates. When you first think of 3D printing, you may think along the lines of factory farming and mass production. This isn’t necessarily the case, said Lalla. While natural versus processed foods carry their own meanings and associations, 3D printing food sits in the middle. What separates 3D printing from machining and molding manufacturing is that there’s no tooling or waste produced from the creation process. NASA is eagerly investing in creating 3D printed food, and there already exists 3D printed candy, chocolate, and even pizza. ”You can start seeing things like the digital chocolatier, which allows you to customize the flavor of your chocolate,” said Heron. “You don’t have to sit there and do the work by yourself… It can be done by a robot in a precise way.” 3D Printing allows you to customize size, shape, texture, and even flavor all thanks to molecular reconstruction. 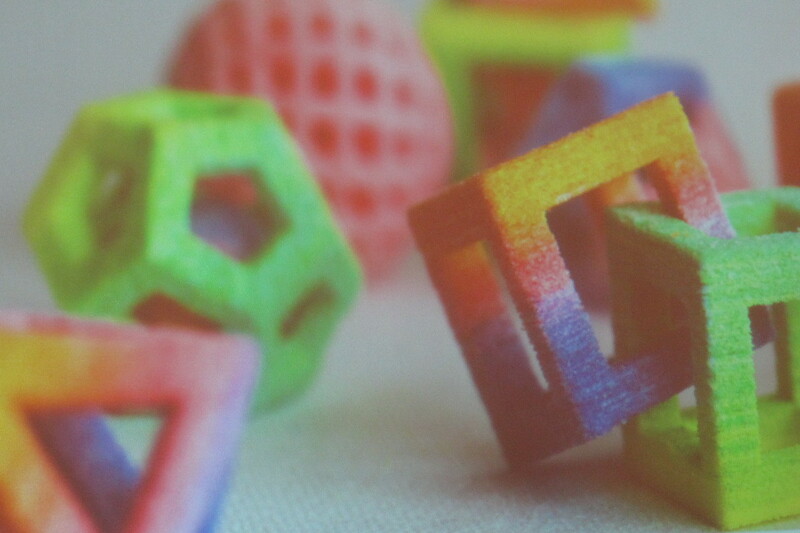 The future of 3D printed food includes gifts, novelty foods and innovations in molecular gastronomy. Flemings Prime Steakhouse & Wine Bar had a startup expo with many great showcases. Zensorium is an app that uses a wireless thumb attachment to monitor your heart rate, fitness and wellness rates. It can track progress and quantify it individually or among other users. LetsMARK is an all-in-one app that keeps all social media and professional profiles in one place, making it easy to set up multiple personal and professional accounts that are simple to swipe through and use for any purpose. Another cool mention is Tethr, which can be used to automatically generate transcripts of business meetings or video chats in real time with accurate precision. Eco is a great platform for customer service backed by Artificial Artificial Intelligence (AAI) that can determine whether an action is simple for a robot to solve or complex enough to be redirected to a human operator. Stay tuned for SXSW Day 4 – 5 coverage! Cory Healy is a freelance writer based in Brooklyn. When he's not writing about tech or music, he can either be found delivering food on bike throughout lower Manhattan, or playing computer games at home.